The conservative Christian blogger Rod Dreher made a discovery about Dante. I always thought "The Divine Comedy" was one of those lofty, doorstop-sized Great Books more admired than read. Its intimidating reputation is likely why few people ever walk with Dante through the fires of the Inferno, climb with him up the seven-story mountain of Purgatory and rocket with him through the stars to Paradise. What a pity. They will never discover the surprisingly accessible beauty of Dante's verse in modern translation. Nor will they grasp how useful his poem can be to modern people who find themselves caught in a personal crisis from which there seems no escape. He discovered, that is, that Dante is useful. Specifically: therapeutic. 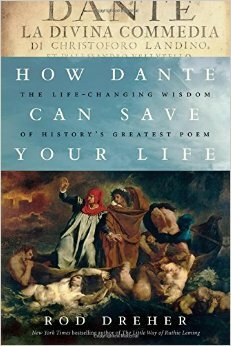 Dante's Divine Comedy is "the ultimate self-help book." Another way of saying this would be to say that Dreher found out that Dante is not literature. It is, rather, middlebrow religious writing, of the sort that Erin A. Smith writes about in her new book, What Would Jesus Read? 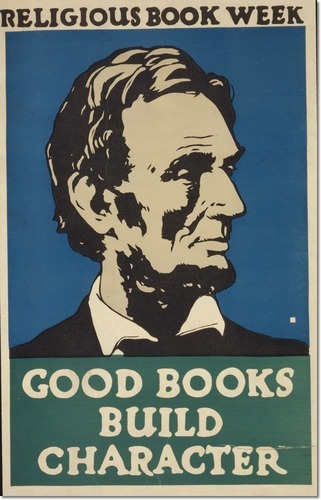 Popular Religious Books and Everyday Life in Twentieth-Century America. Popular religious books, Smith argues, are defined most essentially by how they are read therapeutically. The aesthetic standard for this reading is personal and social transformation. The classic example is Charles Sheldon's book about a town where everyone started to ask themselves in every situation, "What would Jesus do?" Although a disaster by conventional literary standards, In His Steps was immensely powerful for communities of nonliterary readers. (Charles) Sheldon made the case for traditional literacy -- the intensive reading of a small set of classic texts -- at the same time that his own mass-produced fiction urged reading godly novels as one read the Bible, with an eye toward immediate application to one's daily life. By valuing what texts do in readers' lives over style, form, aesthetics, or understanding them in their historical context, In His Steps challenges literary historians to restate their own professional practices as one among many possible ways with words. In His Steps and other similar works are not merely aesthetically bad books; they are books that seek to succeed on entirely different terms -- the transformation of individual and social life. Like Dante for Dreher, Sheldon only makes sense when not thought of as literature. Only then can you grasp how useful the text truly is. This sort of reading practice has been strongly identified with evangelicalism, historically. But it also reflects the ethos of the early 20th-century Protestant Social Gospellers, who thought that true religion should be transformative in practical ways, directing men to immanent rather than transcendent purposes. This sort of reading has also largely defined and arguably shaped liberal spirituality, which is eclectic, like middlebrow religious reading, and therapeutic, like middlebrow religious reading. It also works fine for an Eastern Orthodox Christian with socially conservative politics, like Dreher. Dreher has recently been receiving a bit of attention for his proposal that conservative Christians withdrawal from American culture and establish alternative, cultural enclaves that can serve as an example of a better way. They should be transformed by their separation from mainstream culture, and protect their children. He calls this the Benedict Option. How the Benedict Option relates to Dreher's interest in using canonic literature for self-help purposes has not been noted, I don't think. This approach -- to withdrawal and thereby change the world -- is consistent with the practice of reading religious literature in nonliterary ways. Dante can save your life, but so can Proust. And so can Sheldon and Harold Bell Wright and -- as Smith discusses in the last chapter of her book -- so can Dan Brown. It was this same logic, notably, that underwrote "Religious Book Week" in the 1920s, when publishers and booksellers and religious leaders banded together to promote religious reading. People were encouraged to withdraw from public life to read, so that they could be transformed and their children could be protected, so that they could then transform society. No less a mainstream figure than President Warren G. Harding trumped this argument. Smith quotes one progressive bookseller as saying Religious Book Week would "not only mean the sale of books, but it will help make our world safe for democracy." They might even find a useful poem for that particularly modern crisis from which their seems no escape. If religious readers follow Dreher following Dante into the Inferno and out again, they might find that is less a departure from the common practices of modern American spirituality than they had imagined. A lot of people read this way. A lot of books are written to be read this way. This sort of religious reading is not a radical break with American culture of self-help and seeking. Many have, "Nel mezzo del cammin di nostra vita," in the middle of the path of our life, went and bought a book at Barnes & Noble. What's wrong with Christian movies?